Hope you guys are doing great and training hard! 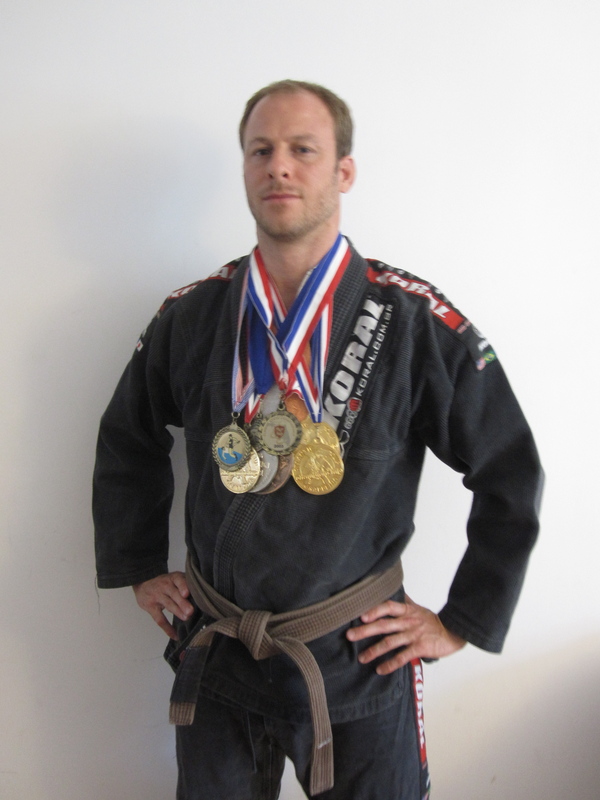 I’ve recently made some big changes in my grappling life. I didn’t mention this before, but I had taking a break from Brazilian jiu-jitsu for a while due to an injury and finally started back training regularly. Not only that but I switched schools. However, it hasn’t all been fun and games. I’ve had to reevaluate my conditioning routine to get in shape for some of these classes. I’ve done positional sparring drills in which everyone gets to spar with everyone in the bottom and the top position. That can last around 20 minutes or more depending on how many people are in the class. No rest. Then there are the five 6-minute regular sparring rounds with 60-90 seconds of rest in between. It’s been tough! * Start your morning with at least 2 full glasses of water. I’m not talking protein shake here. I’m talking a scientifically designed post-workout shake to help you recover from training. My favorite one lately is Optimum Recovery 2:1:1. Its formula is based on performance research and has a specific protein to carbohydrate ratio along with branched-chain amino acids. it can really help take your conditioning to the next level. I’ve been experimenting with “recovery cadio” after class and it has helped me a lot with having less aches and pains after grappling as well as getting my heart rate back down. You see, after a hard grappling workout, your heart rate will be elevated for a while unless you’re in amazing aerobic shape. By doing some cardio right after your class, you can help bring down your heart rate and calm your nervous system to put you in a more relaxed state to start the recovery process. In case you didn’t know, stretching is a hotly debated topic in the fitness world. All types of experts say to avoid stretching or to do it all the time and everything in between. Also debated is whether you should do static stretching or dynamic stretching. That being said, I have personally found use of static stretching (the type of stretching where you hold a stretch in a position for a period of time) after a grappling workout to be very effective for recovery purposes. While you will probably not increase your flexibility doing it, you will help calm down your nervous system to help jump-start the recovery process. Experiment with it and see if you notice less aches and pains after 5-10 minutes of stretching after grappling class. Minerals like magnesium zinc are very important for keeping your hormones at optimal levels as well as helping your immune system and improving recovery. For that reason I’m a big fan of taking a magnesium/zinc combo supplement. The magnesium can even help relax you and improve your sleep quality if you’re one of those people who train in the evening and feel super wired after a hard grappling session. I personally take Biotest’s Elite Pro Mineral Support. I’ve experimented with several different brands of mineral supplements and I’ve found this particular formula to be the best. It also has selenium and vanadium as well as zinc and magnesium. Previous articleWinning and learning: The true facts from a competitor’s point of view. Next articleFeatured Grappler: Brenda King, Brown Belt 60 Years Young!